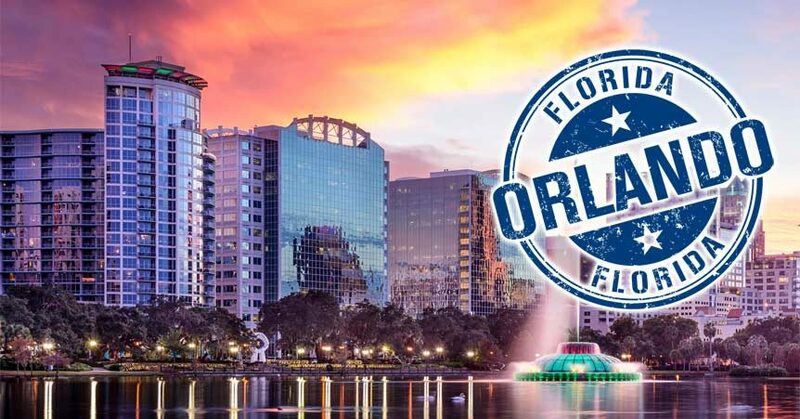 The 2017 CSCCa National Conference will be held in Orlando, Florida, May 10-12, at the Walt Disney World Coronado Springs Resort and Convention Center. We have a great conference planned with outstanding speakers. Conference presentations deal with various aspects of strength and conditioning applicable to all strength and conditioning coaches—no matter what sport or gender they coach. Please review the included tentative national conference itinerary. We already have over 275 confirmed exhibit booths this year. Please refer any potential exhibitors to the CSCCa National Office. Exhibitor Registration forms and additional information can be found here. As a reminder, the speakers have put a great deal of time and effort into preparing their presentations, and they have valuable information and experience to share. Please schedule all travel arrangements to allow you to remain at the conference until the last speaker sessions conclude at 1:30 pm on Friday afternoon so that you do not miss out on these valuable presentations! We have an outstanding speaker line-up on Friday. Be sure and check out the conference itinerary. Holding the 2017 CSCCa National Conference at Walt Disney World provides a great opportunity to extend your stay through the weekend and to bring the family along for a fun-filled get-a-way at the Walt Disney World Parks! Conference registration can be completed on-line through the CSCCa website, or a conference registration form can be submitted to the CSCCa (additional forms available on the CSCCa website). As a reminder, the early-bird registration rate ends Wednesday, March 15, 2017. 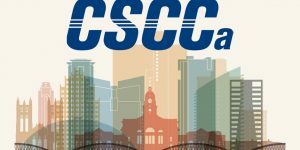 While it is no longer required to be a CSCCa member to attend the national conference, please be aware that CSCCa members receive a discounted national conference registration fee. Please be aware that a non-compliance fee will be assessed after Monday, April 3, for those individuals who have not paid their annual membership dues but who have received discounted pricing for conference registration. You can pay all dues and fees on-line or over the phone by credit card, or a check can be sent into the CSCCa National Office. Membership renewal forms should be completed annually online or by printing off a hard copy from the CSCCa website and submitting it to the CSCCa National Office. We require membership renewal forms (online or hard copies) in order to maintain current contact information for our members. The CSCCa is accepting nominations for the Lance Vermeil Award. Please see the information below to learn more about this prestigious award and how to go about making a nomination for the 2017 award. This award was established in 2012 and was developed in partnership with MF Athletic/ Perform Better in memory of Lance Vermeil, who was an extremely qualified and dedicated young strength and conditioning coach. Coach Vermeil was committed to the profession of collegiate strength and conditioning and, most importantly, to serving and protecting the student athlete. CSCCa-approved mentors are encouraged to submit nomination letters for students, interns, or part-time strength and conditioning coaches on their staffs who they believe are deserving of receiving this $1,500 scholarship. These individuals must have shown a commitment to pursuing a career in the field of strength and conditioning on the collegiate and/or professional level and must have demonstrated tremendous potential and inclination for this unique profession. Nominations should be emailed to the CSCCa National Office at info@cscca.org and must be received by Monday, April 17, 2017. Rooms may be reserved at the discounted rate any nights between May 5-15, 2017. Please be aware that these discounted rates are only available until Friday, April 14, 2017, or until our room block is full, whichever comes first. We have a specific number of rooms available in our room block at these rates, and once those are taken, we may not be able to secure additional rooms. Please make your reservation well in advance of this date! Please be aware that in accordance with hotel policy, each individual room reservation must be confirmed and guaranteed by the attendee with a deposit equal to the full price of the room for one night. Should an attendee cancel a reservation, refund of the deposit and/or cancellation fees will be in accordance with the Hotel’s general policy at that time (currently a refund is given if an individual’s reservation is canceled at least five days before arrival). WARNING: Please be aware of “room poachers”—third-party organizations that fraudulently pose as affiliates of organizations hosting conferences and other events. Their method of operation is to trick conference attendees into reserving rooms through them instead of through the official methods offered by the host organization. These groups often offer nonexistent rooms or false pricing. 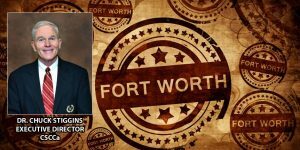 The CSCCa and its affiliated conference sites will NEVER solicit you for room reservations. Do not book hotel reservations through any third parties that may contact you. Please only book hotel reservations for the conference by calling Disney’s Coronado Springs Resort directly or through the official link provided on the CSCCa website. If you have any questions or concerns about this, please contact the CSCCa National Office at 801-375-9400. Disney’s Magical Express is a complimentary shuttle and luggage delivery service that takes you from the Orlando International Airport to Disney Resort Hotels. After receiving your guest room confirmation number, you have the option of going online or calling directly to make a reservation. Prior to arrival, guests will be mailed an Airport Transportation Booklet containing special luggage tags which you can attach to your luggage before departure. Your luggage will go straight from the plane to your room. Please note your luggage will not be delivered to your room for approximately four hours. This service is only offered to guests whose plane arrives prior to 10:00pm. After 10:00pm guests will need to pick their luggage up at baggage claim. You may also choose not to use this service and pickup your bags at baggage claim. Upon arrival at Orlando International Airport, proceed directly to the Disney Airport Welcome Center in Terminal B where you will board a complimentary deluxe motor coach transportation to Disney’s Coronado Springs Resort. Wednesday, May 10, from 2 – 5 p.m.
You can purchase discounted tickets to Disney’s four Theme Parks here as well as find additional information about Disney’s Coronado Springs Resort, Disney’s Magical Express and many other amenities available at the Walt Disney World Resort. By clicking on the “Buy Tickets” button at the top of the Disney page, you will be redirected to a website where you can purchase an array of discounted tickets to all of the Disney Theme Parks. We wanted to remind you that Walt Disney World Theme Park Ticket prices have changed. Although prices have changed, they are pleased to be able to provide CSCCa National Conference Attendees with a “Grace Period”. If you would like to purchase your Disney tickets at 2016 prices you may do so until Saturday, March 11th 4 PM EST. After this date, the new ticket offers and pricing will go into effect. For more information or to order your tickets by phone, please call 407-566-5600.